In a landmark and extremely moving speech before the parliament, New Zealand’s prime minister, Jacinda Ardern, came across as self-less, clear-headed and a resolute visionary. Never before had a head of government articulated a better framework to counter terrorism and extremism. In fact, the prime minister delivered several strong messages to politicians, media and people at large. The first message: Concede it was an act of terrorism. Disown, ignore the perpetrator and deny him the identity in public life. Secondly, she only mentioned and highlighted the names of the victims, not of the beast who sought notoriety through the dastardly act. 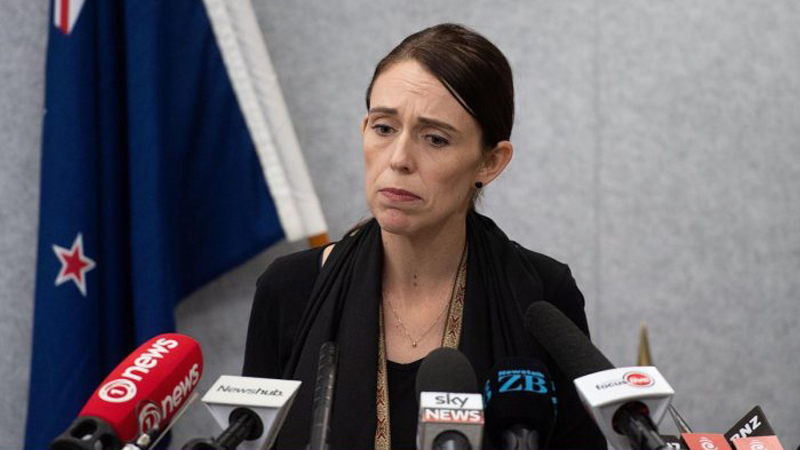 “And to others, I implore you: Speak the names of the lives who were lost, rather than the name of the man who took them,” said Ardern in an unusually composed yet compassionate address to the parliament. The third message was the promise of quick justice to all those who had suffered directly or otherwise. She pledged to invoke the existing laws to initiate the prosecution process as soon as possible. The fourth message that PM Arden delivered was to the present day media at large. She pointed towards the time that social media companies took to remove the video as it was re-uploaded to services like YouTube and Twitter that day. “There is no question that ideas and language of division and hate have existed for decades. But the form of distribution, the tools of organization, they are new,” she added. She recalled that these platforms were publishers, not just the postman. “It cannot be a case of all profit, no responsibility,” she stated. This amounted to a challenge to the proponents of absolute freedom of all forms of media. Few had heard of Al Qaeda, or Osama Bin Laden, before September 11, 2001. Dzhokhar Tsarnaev, who with his brother set up the bombs that hit the Boston marathon in 2013, would have hardly had a fan following, let alone a Rolling Stone cover, before his attack. An opinion piece written by Annalisa Merelli in a publication, QUARTZ, discussed that Anders Breivik, the Norwegian terrorist, who killed nearly 80 people in 2011, would not have become an inspiration for a generation of white supremacist terrorists-including the attacker of the Christchurch mosques-without the notoriety that his heinous action generated. So true. Who would have known butchers like Muslim Khan and Baitullah/Hakimullah Mehsud, had the media acted responsibility and refrained from upping the others in the hunt for exclusive footage of extremely controversial figures or globally dubbed terrorists? Ms Ardern’s speech should serve as an inspiration, if not a wake-up call for politicians, military and media in our part of the world. Had the state institutions been mindful of the perilous consequences of appeasement and tolerance of non-state actors, Pakistan today most probably would not have been in the grey list of the Financial Action Task Force (FATF). Nor would have the international community remained silent when an Indian aircraft violated Pakistan’s sovereignty on February 26. New Zealand’s Prime Minister has led from the front, spoken candidly to denounce an act of terrorism and acted decisively in calling out the society and the global community to not mince words on acts of terrorism. Condemn violence – killing of human beings – regardless of the cast, creed or colour of the perpetrator.